New and exciting details about Hayao Miyazaki’s final film have been announced! Studio Ghibli producer Toshio Suzuki has recently shared some new information and details regarding Hayao Miyazaki’s upcoming and final film in a letter to entertainment news site, Eiga Natalie. The new film, titled Kimi-tachi wa Dou Ikiru ka (How Do You Live? ), has been described by Suzuki as a ‘action-adventure fantasy’. As with all of Miyazaki’s feature films, How Do you Live? will be animated in his traditional hand-drawn style. 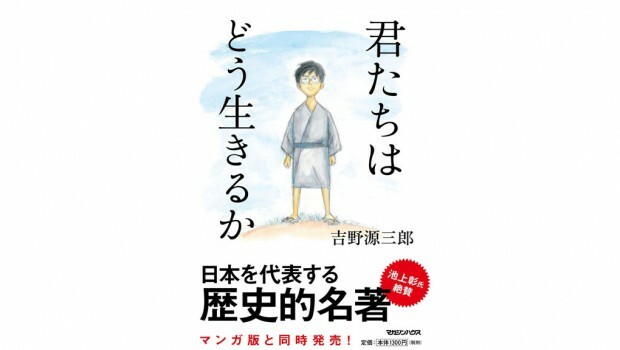 Suzuki also states that he understood why the legendary director returned from retirement after reading the book of the same name by Genzaburo Yoshina. The film will be based on the book, and centers around main character Koperu and his uncle, and his discovery of what it means to live as a human being. Miyazaki himself mentioned this about the project: “The film is about how this particular book featured prominently in the protagonist’s life.” He also stated that he expects to finish the film in 3 to 4 years, with the original goal of having the film debut before the 2020 Summer Olympics in Tokyo. In the special, Owaranai Hito Miyazaki Hayao (Never-Ending Man: Hayao Miyazaki), that aired in Japan last November, Miyazaki talked about his new CG short, “Kemushi no Boro“, for the Ghibli Musuem, and how he was not just satisfied working on a short. Despite not officially receiving a green-light for the feature film yet, Miyazaki decided to start animation work, and has been working on it since July 2016. Suzuki stated that Miyazaki has only drawn 20 minutes of storyboards at this time. Miyazaki’s son, Goro Miyazaki, is also currently producing a new CG film. Goro made his directional debut with Tales of Earthsea, and directed From Up on Poppy Hill and the new CG-animated series, Ronja the Robber’s Daughter (which we may be releasing next year)! We are pretty excited to see Miyzaki’s new film. Hopefully the next few years of waiting pass quickly!